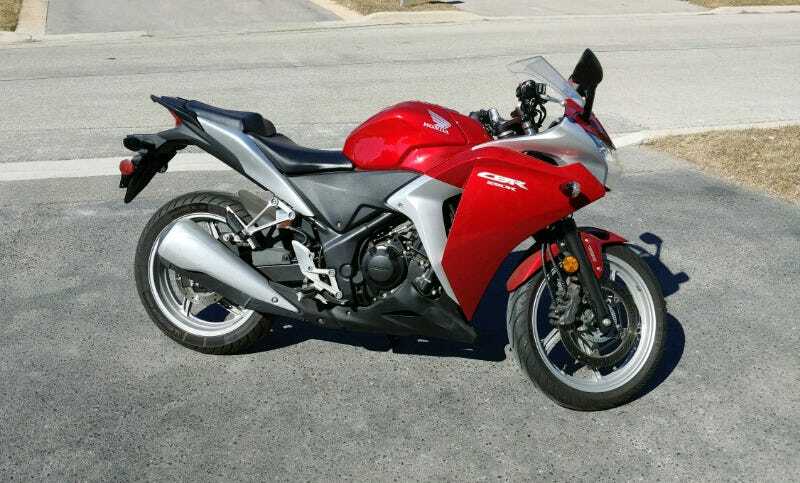 Over the weekend we sold my girlfriend’s CBR250R. Sad! But good riddance as well. Hot take: this is not a great beginner’s bike. It took a surprisingly long time to sell given I posted it for the start of the riding season. After dealing with many tire kickers and Craigslist bros someone finally agreed to come check it out. He liked it, didn’t haggle, and put down a deposit same day. Easy as pie (after weeding out the scammers, that is). Reason for sale: girlfriend didn’t ride a lot. Reason for not riding a lot: never got confident piloting a bike on the street. One reason for the lack of confidence: the 250's tiny engine which made smooth riding difficult for a real beginner. I wrote about this before and got some rebuttals but I stand by my point. If you’re not familiar with bikes or manual cars then the need to get those revs up and be quick with shifting doesn’t make this an easy bike to learn on. Many people work through the quirks just fine but I remember how relatively simple it was to hop onto my first bike, a Ninja 400R, and set off without worrying too much about stalling and so on. My analogy: you can jump right into thermodynamics, but it’d help to understand calculus first.